We have been dreaming of this day since last summer when we stumbled upon the UWS location of Pio Pio. In the future it would be really helpful if all new clients came with notable lunch options nearby. 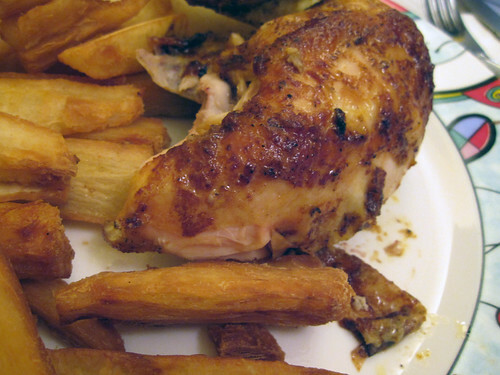 The Murray Hill location is small and casual and offers a $9.50 lunch special - 1/4 pollo a la brasa (rotisserie chicken), a salad, a side of something starchy and a soda. Brilliant! And fantastically delicious. So good M. and I couldn't even talk to one another, we were too busy absorbing every last bite. this as along with mooncake foods were our favorite cheap quick bites!